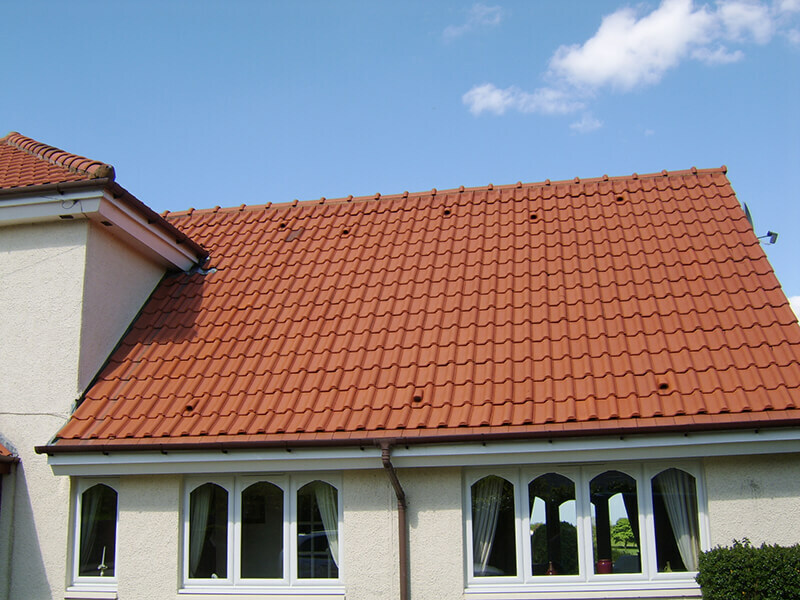 We offer a professional roof cleaning service in Edinburgh and throughout Scotland. With so many extra visitors each year, property owners in the Edinburgh area are keen to look after their investments and keep them looking presentable. 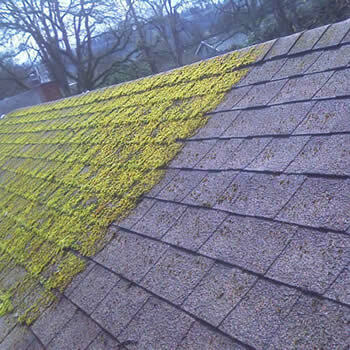 A huge problem which stands in the way of this is the widespread growth of algae, fungi, lichen, mildew, and moss. 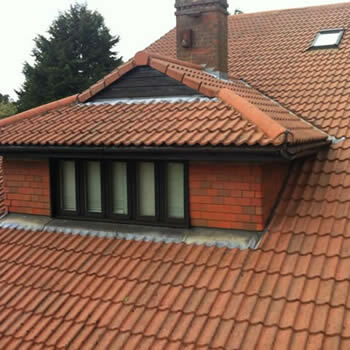 Not only will the appearance of your roof be compromised but more importantly the functionality. 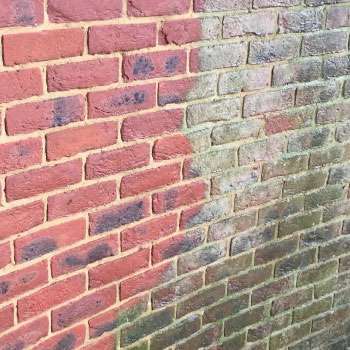 Moss has been proven to cause premature degradation which can cause thousands of pounds in repairs. 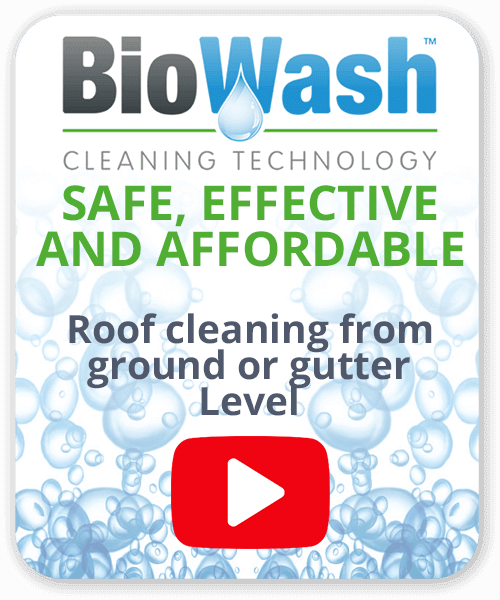 Biowash™ cleaning technology offers the people of Edinburgh an affordable and effective answer. 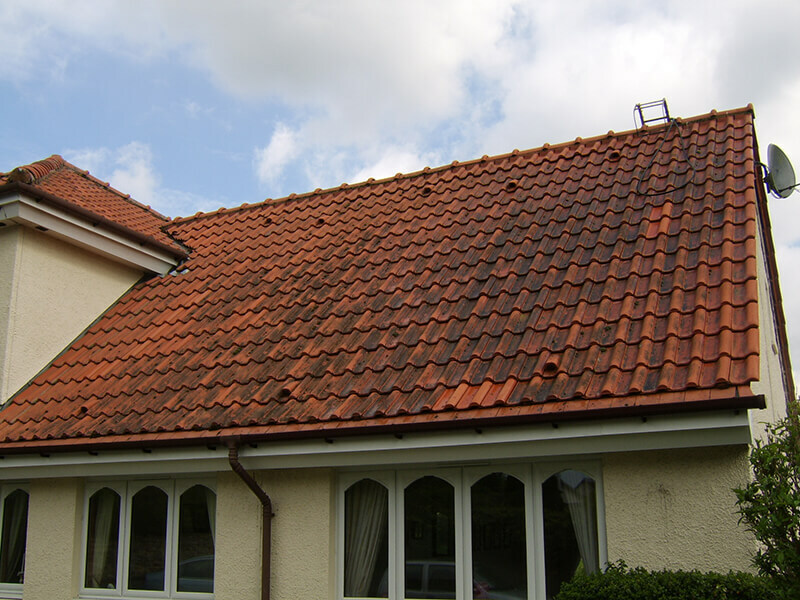 The unique five-step process involves soft washing from ground or gutter level meaning there is no need to step foot on the roof. 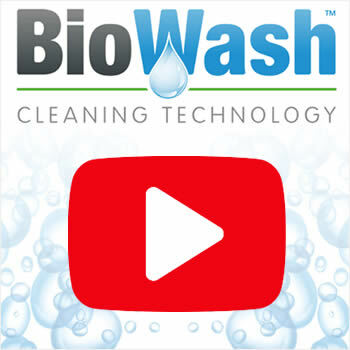 The Biowash™ cleaning system will transform the look of your property with a treatment of Surface Cleaner which is designed to rapidly kill organic growth and flush away other contaminants such as dirt, dust, and grime. 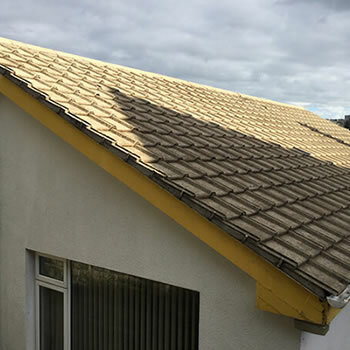 To ensure it maintains it’s cleanliness for longer we will treat your roof with a fully biodegradable biocide for effective long-term protection. If you would like a no-obligation quote then call us or fill in the online enquiry form, we look forward to hearing from you. Recognised as the capital of Scotland, Edinburgh’s historical and cultural attractions have made it the United Kingdom’s second most popular tourist destination, attracting over one million overseas visitors each year. A growing tourist industry has boosted the economy and with this has seen ever increasing investment in the property market.